DataArchiva is a Gartner listed & Only Salesforce Native Data Archiving Solution powered by Salesforce’s big data based storage system “Big Objects”. With features like easy archival & restore, other application integration, metadata change detection capabilities, and much more it supports any level of object relationship archiving. 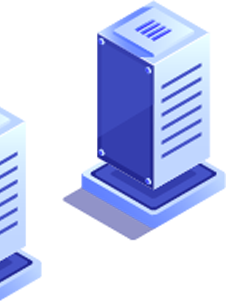 By offering a structured data archiving solution, DataArchiva is a highly secure, scalable, analytical, accessible and user-friendly application. The archiving process is simple, yet intuitive. Just choose objects, define criteria, schedule the archiving process and you can start saving over 80% of the storage cost. 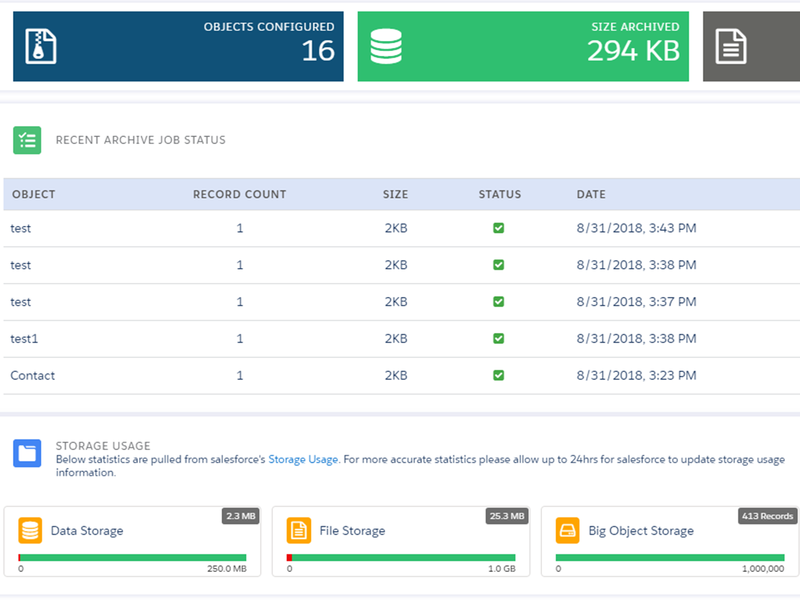 DataArchiva uses Salesforce's Big Objects’ to store archived data. This allows your data to reside within the Salesforce ecosystem. Once scheduled, DataArchiva will automatically archive your data periodically taking care of all the complexities under the hood. Fields of archived data can be encrypted at rest for standard/custom objects. It uses the highest standard of encryption technology and also supports key rotation policy. 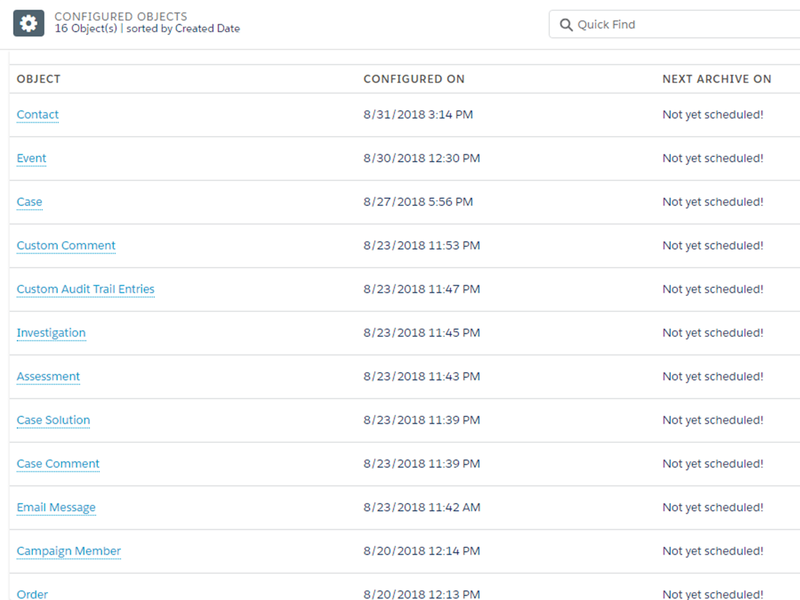 Purging feature helps you to define the retention period on the archived data and admin can define the policy depending on the industry compliance requirements across objects. Archive bulk data based on any complex filter criteria along with child relationships for any level. You can also do a one-click restore on record level. DataArchiva takes care of synchronizing schema changes such as addition/removal of fields, data types, etc. automatically. 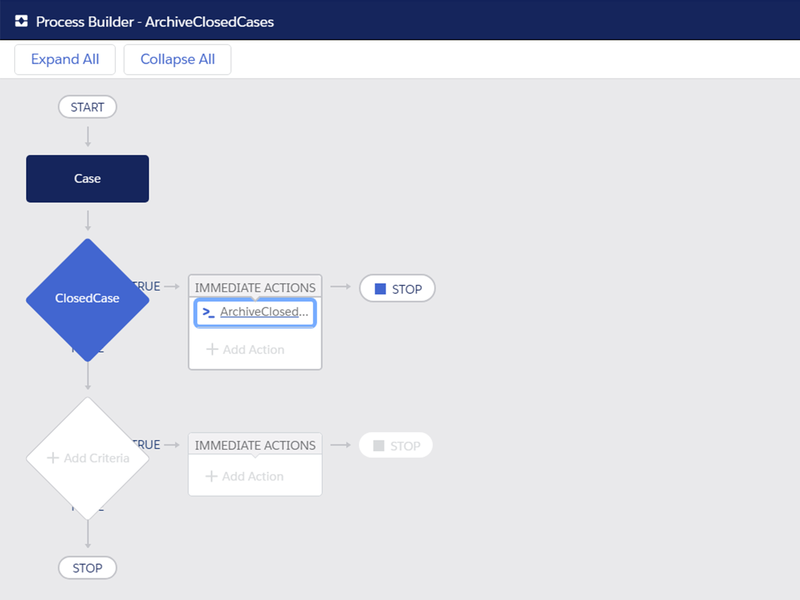 Data archiving can be invoked using Process Builder and also through API. Takes care of your complex data relationships of any level without losing data and integrity. DataArchiva seamlessly handles the complexities involved with files/attachments both during archive and restore. Data integrity remains intact between the live and archived data, which can be viewed from the parent record in Salesforce page without having to restore. Large data can be archived using migration utility which is a onetime activity done initially. Field Audit Trail (FAT) and System Audit Trail (SAT) data can be archived and securely stored forever using DataArchiva. Looking for external data storage? With DataConnectiva connector, Data can be archived into any external cloud/on-premise storage platforms such as Heroku, AWS, Azure, Google, etc. with support for variety of relational databases such as MSSQL, PostgreSQL, Redshift, MySQL & Oracle. DataArchiva is a structured data archiving solution powered by Big Objects which can periodically archive your historical Salesforce data. An Efficient Salesforce Data Archiving Strategy.. Looking to store your archived Salesforce..
Top 8 Technical aspects to consider before choosing..
Webinar: How to create a successful data archival strategy for your Salesforce..
DataArchiva: The journey from an idea to the big stage of Dreamforce 18.. Looking to archive your Salesforce historical data into your preferred external storage system? 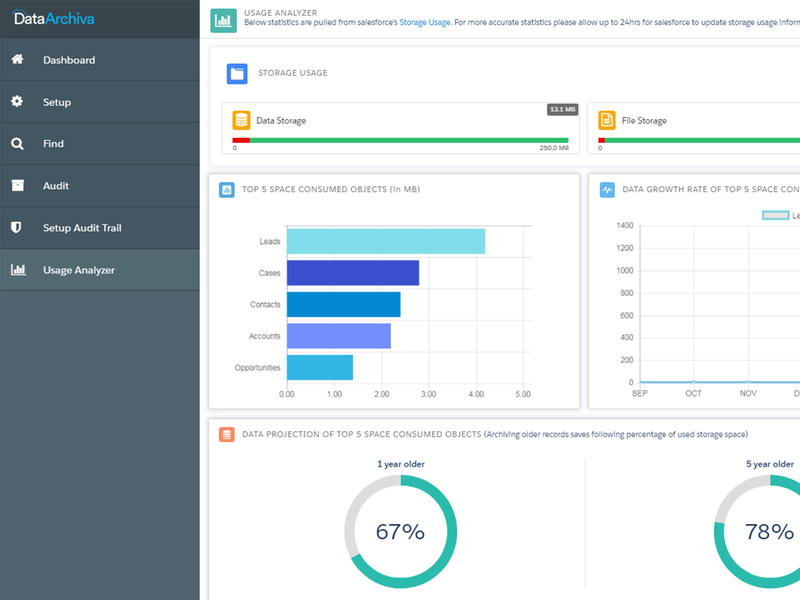 DataArchiva’s latest extension DataConnectiva, which will help you use your favorite Cloud/On-premise storage system to store archived Salesforce data. Copyright @ 2019 DataArchiva. Unit of CEPTES Software Pvt Ltd. All Rights Reserved.